Commercial office photography of 400 George st for M&G Real Estate. Always tricky photographing tall buildings in CBD, all relies on getting a good vantage point. 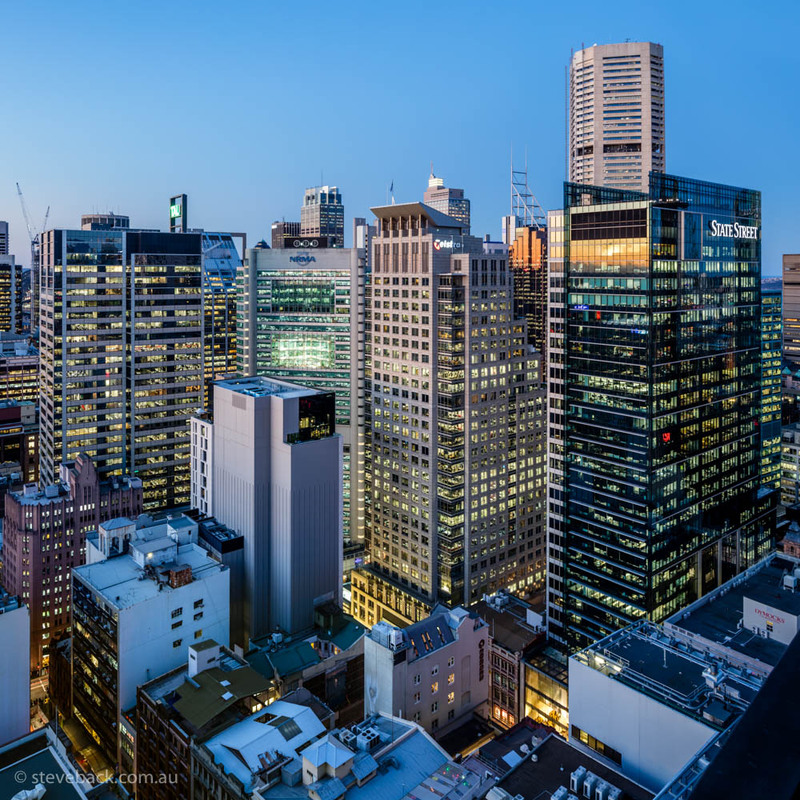 Luckily got access to 44 Market st which is the perfect angle and a clear night meant some lovely dusk shots. Luckily no one mis-behaving in their offices.